In a previous post, I talked about ways your Homeschool Dad can be involved in your homeschool. Since then, I’ve thought of a few more! 8. Show and Tell – During the day, we leave completed work items on Daddy’s desk to show/read to him at the end of the day. My girls love this. We might also put them by his seat at dinner, so we can talk about them. This is a good way for me to remember to have them read and review certain work with him. 9. Wall of Fame – One wall of his office at work is decorated with various art projects. I can tell when they are especially into a particular project because the girls only designate their most favorite work for “Daddy’s Office.” They love going to his office and seeing their work displayed. As an added bonus, this has sparked a lot of discussions about homeschooling with his coworkers! 10. Heavy Labor – I’m sure us homeschool moms already take advantage of this one, but Homeschool Dads are awesome at hauling around the piles of books we collect. And dropping loads of them back at the library when needed. And carting piles of items to and from the basement, etc. Make sure they know how helpful and valuable that sort of participation really truly is! Our haul from last year’s HEAV homeschool convention. Well, part of it. 11. Taking Over “Classes” You Really Don’t Want to Do – Through other parents at our AHG troop, we found there was a summer archery program in our area. Which of course, would help them earn that AHG archery badge! My girls were dying to do it with their friends, but I was already suffering from major burn out. Hubby talked the other dads into doing it with him, and so it became a Daddy/Daughter activity once a week last summer. 12. Documentation – Our Homeschool Dad is a massive help this year with the documentation we needed for our portfolio. Here in PA, we’re required to keep a book log, and hubby helped me fill in the information. I just created the spreadsheet format for him, and would hand him the receipts we get from the library as we check out books. He would then fill in the info as he had time. This was a HUGE help, because our book log was up-to-date and ready for me to just print and stick in our binder when portfolio time came around! Plus, as a mentioned in a previous post, he has been helping me by going through the pages of book lists I’ve found. He will review and reserve books from the library, and then keep track on our ongoing “wish lists” on what the library has or doesn’t have. This has been great to have when I’m out and about, but also when grandparents want to gift the girls, I have a running set of ideas ready to share! This has helped me keep very organized as I plan and prepare for upcoming curriculum. What other ways does your Homeschool Dad participate in your homeschool? 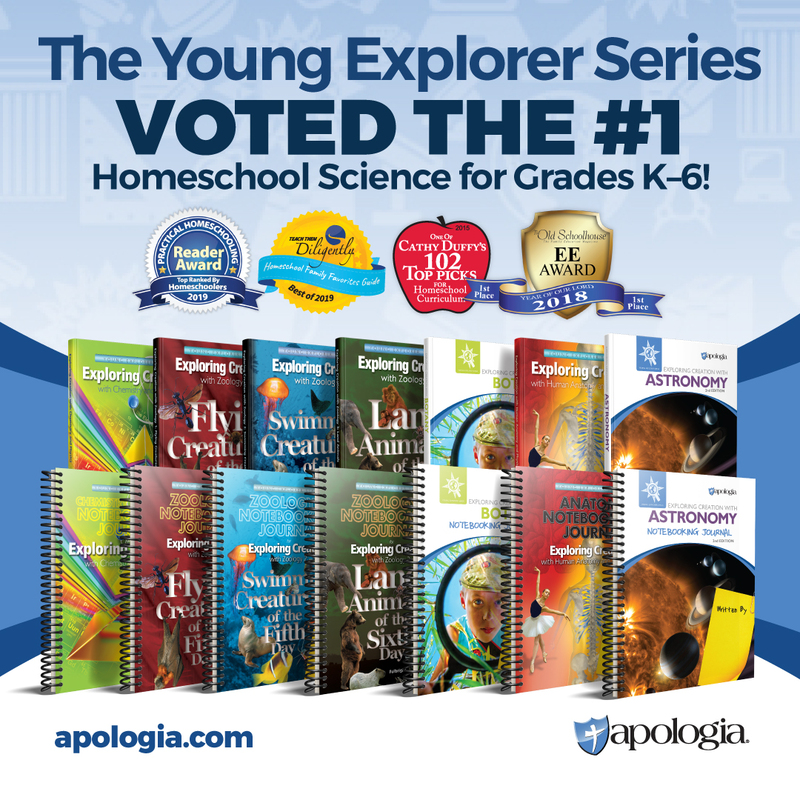 We are blessed with a Homeschool Dad that loves to be involved in our homeschool! It wasn’t always this way. He wasn’t particularly enthused about homeschooling at first. It took A LOT of encouragement and enthusiasm from other homeschooling dads before he would agree to us homeschooling at first. Now, he is one of homeschool’s biggest salesmen! So, how can your homeschool dad be involved in your homeschool? How can you encourage him? First, make sure he feels welcome! My husband has admitted to me that sometimes he doesn’t feel “needed.” I’ve never intentionally shut him out, but it’s sometimes easy for me to get so absorbed that I didn’t realized he wanted to be included. Also, don’t only show him the negative! I know many refer to their homeschool dad as “Principal.” But if all he sees of the homeschool experience is having to be the Enforcer or Disciplinarian, how can he enjoy it? 1. Field Trips – We try to save as many field trips for family activity time, often on weekends, so hubby can join in. 2. 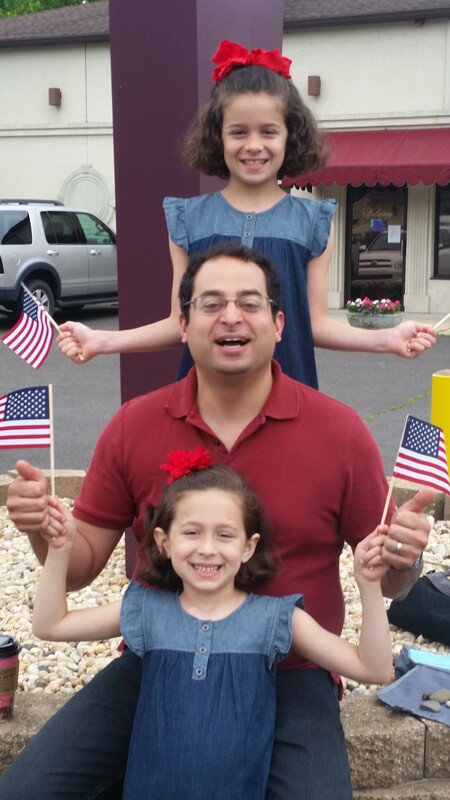 Holidays – We are blessed that hubby gets most federal holidays off. He will join in our regular homeschool activities, and often acts as “substitute teacher” while I take the opportunity to get other things done. 3. Take Over Certain Subjects – Hubby has been great about taking over certain activities and lessons for me. I save up games, science experiments, or various parts of lessons that I haven’t been able to get to. He will do these with the girls on the weekends or evenings. He also works with them on their Spanish – which is good because being a native speaker, he is much better at it! 4. Evening Reading – We save our larger group reading for right before bedtime. If it is a book that I think he’ll enjoy, Hubby will take over the reading of the nightly chapter. It’s great to get a break sometimes, isn’t it? 5. Extracurriculars – Hubby has been willing to very involved in the girls’ activities. He took over a lot of the carpool duties when we were participating in the Upward Sports program, and now he is actively being my “heavy labor” for our American Heritage Girls troop. 6. Support of Me – Hubby wants me to be sure to mention how a Homeschool Dad’s primary job is to take care of the Homeschool Mom! He’s my sounding board to bounce ideas and issues off of, he’s my encourager and motivator. Be even more importantly, he considers it his job to protect me, even from myself. Maybe even mostly from myself! 🙂 He keeps me going and keeps me from burn out. He sometimes plays “bad cop” when I’m too much of a softie. 7. BRING HIM TO A HOMESCHOOL CONVENTION! – Hubby’s first time at the HEAV Convention was instrumental in his support and understanding of homeschool. He was so excited to realize that homeschooling didn’t make us “weird,” it made us NORMAL! 🙂 He came, expecting to just be “supportive” and be there for me, but participating in some of the “Dad” sessions opened his eyes to the great opportunities homeschool provided. Homeschool is such a wonderful blessing to our entire family. In addition to the “educational side,” it’s truly been a vehicle for our family to spend time together and enjoy each other. 9. Wall of Fame – One wall of his office at work is decorated with various art projects. I can tell when they are especially into a particular project because the girls only designate their most favorite work for “Daddy’s Office.” They love going to his office and seeing their work displayed. As an added bonus, this has sparked alot of discussions about homeschooling with his coworkers! Our haul from the HEAV homeschool convention. Well, part of it. 11. 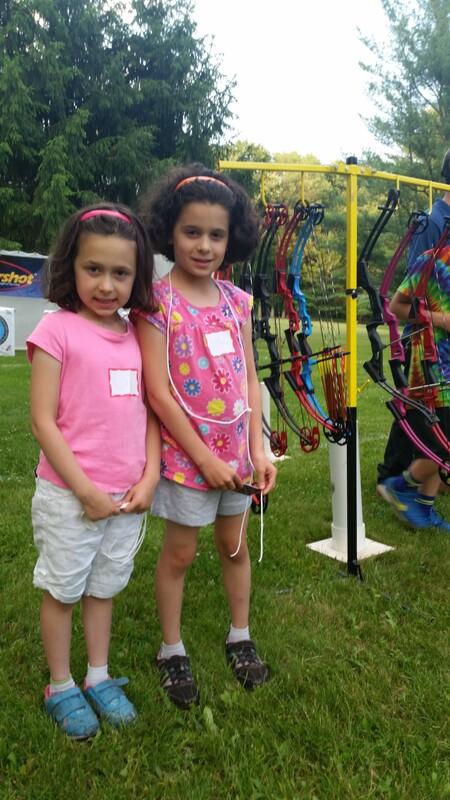 Taking Over “Classes” You Really Don’t Want to Do – Through other parents at our AHG troop, we found there was a summer archery program in our area. Which of course, would help them earn that AHG archery badge! My girls were dying to do it with their friends, but I was already suffering from major burn out. Hubby talked the other dads into doing it with him, and so it became a Daddy/Daughter activity once a week this summer. 12. Documentation – Our Homeschool Dad has been a massive help this year with the documentation we needed for our portfolio. Here in PA, we’re required to keep a book log, and hubby helped me fill in the information. I just created the spreadsheet format for him, and would hand him the receipts we get from the library as we check out books. He would then fill in the info as he had time. This was a HUGE help, because our book log was up-to-date and ready for me to just print and stick in our binder when portfolio time came around! It wasn’t always this way. He wasn’t particularly enthused about homeschooling at first. It took encouragement and enthusiasm from other homeschooling dads before he would agree to us homeschooling at first. Now, he is one of homeschool’s biggest salesmen! 7. BRING HIM TO A HOMESCHOOL CONVENTION! 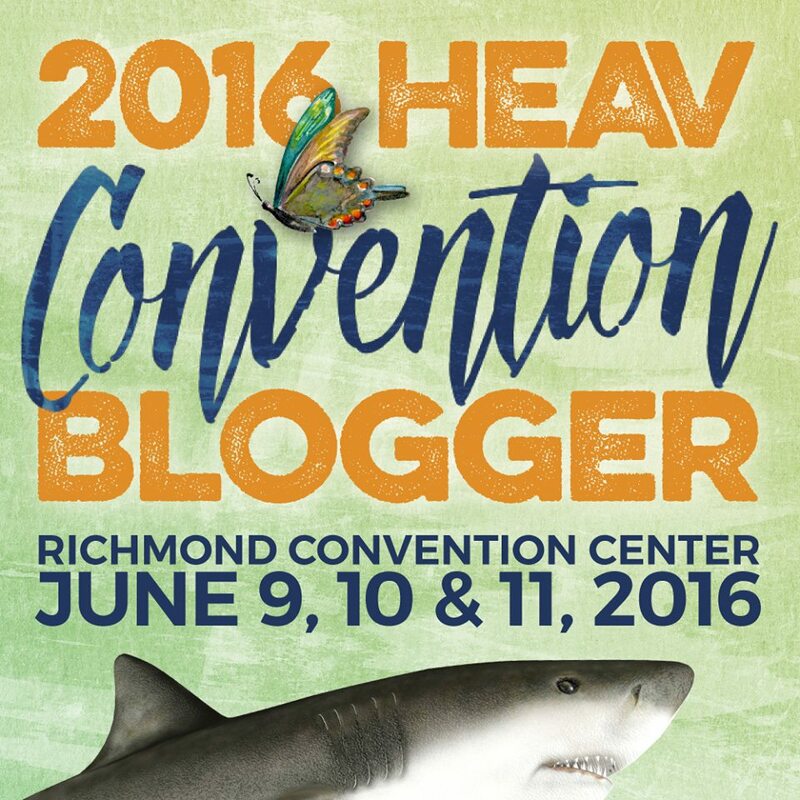 – Hubby’s first time at the HEAV Convention in his support and understanding of homeschool. He was so excited to realize that homeschooling didn’t make us “weird,” it made us NORMAL! 🙂 He came, expecting to just be “supportive” and be there for me, but participating in some of the “Dad” sessions opened his eyes to the great opportunities homeschool provided. TONIGHT IS THE LAST NIGHT TO SIGN UP FOR THIS HEAV GIVEAWAY!!! DON’T MISS IT!!!!! 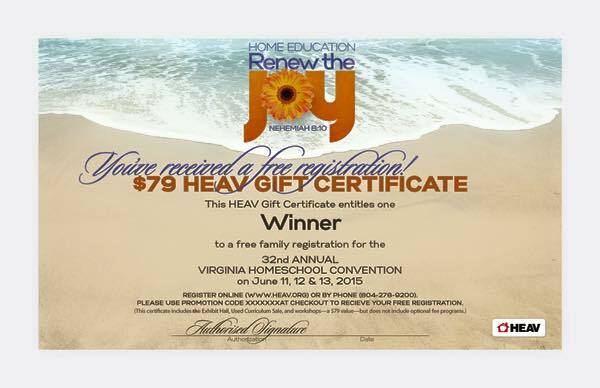 Yes, you can win a pass so you can attend HEAV’s convention for free! (Leaving more money to spend on stuff! WAHOO!) Optional Programs are not included, and if you have already registered and you win, HEAV will credit you for the amount of the free pass! This giveaway ends March 15 at midnight, so sign up now!